Rich new heights with Amalgam theme specially devised for wholesale, fashion and food online stores. Being easy to customize, this Magento 2 theme offers each and every extension to facilitate the process of managing your store. The theme is absolutely responsive and works nice on each screen resolution, like desktop, mobile or tablet. 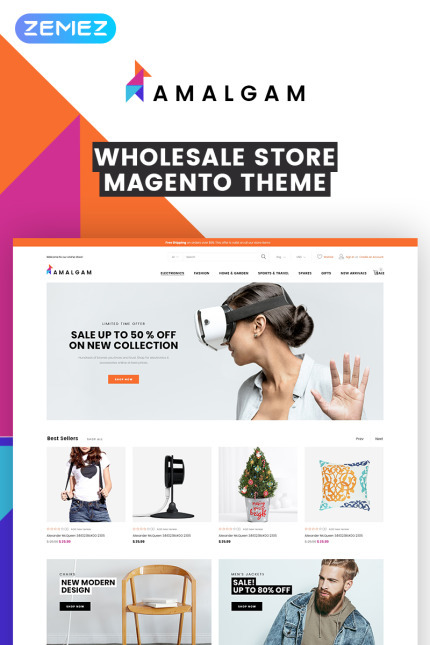 With this theme you can inform your online store visitors about your new collection, special offers or deals with the help of colorful banners. Check the Live Demo!